For three weeks this summer, a group of students are exploring oceans, planning road trips around the world, writing novels, and meeting new friends all without leaving the St. Croix Valley. 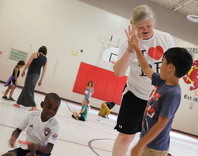 Nearly 240 students are taking part in Summer Success, which kicked off on July 10 and will run through July 27. Read more. A local family is speaking out about suicide after the death of their teenage son. 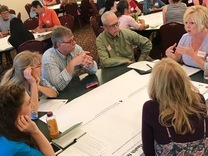 They are working with our school district, mental health professionals and community members to develop a plan to try to save others. Watch the WCCO-TV news story. Want to be among the first to be trained in QPR, a highly successful suicide prevention strategy? Learn more and register online at stillwaterschools.org/wecare. Congrats to professional skater Nicole Hause (Class of 2016) who finished 4th at the X Games in Minneapolis! Hause had a large hometown cheering section as she competed against the world's best in the women's Skateboard Park event at U.S. Bank Stadium which was broadcast live on ESPN. Read more. Jerry Hein (Class of 1983) got his class ring back 34 years after losing it. The ring disappeared while Hein was swimming at Perch Lake in Wisconsin the summer after he graduated. Last week, it was found by a scuba diver with a metal detector in 16 inches of water. Hein says the ring is still in perfect shape after all these years! For more alumni news follow our SAHS Alumni page on Facebook! There's plenty of ways to stay connected this summer! Come visit with principals and district learders downtown at Summer Tuesdays July 11 - August 15. We'll have a booth set up from 5-8:30 p.m. where you can write a note to a special teacher or staff person that we will deliver at the beginning of the school year. We will also have some Pony Pride giveaways, including tattoos, pencils and stickers. Stop by and say "hi"! Be sure to look for our students at the Lumberjack Days Parade on Sunday, July 23. 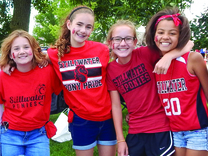 Students from across the district will walk along the parade route from Washington Square to Pioneer Park handing out Pony Pride items along the way. Go Ponies! Catch a performance of Oklahoma! Friday, July 14 at 7 p.m., Saturday, July 15 at 7 p.m., Sunday, July 16 at 2 p.m.
Friday, July 21 at 7 p.m., Saturday, July 22 at 7 p.m., Sunday, July 23 at 2 p.m.
Stillwater Area Public Schools is establishing a new tradition of Pony Pride within our community. We invite you to join us for our first annual Pony Homecoming Carnival. The carnival will be held on Friday, Sept. 15, 2017 on the Stillwater Area High School campus and will be open to high school students from 2-4 p.m. and the public from 4-6:30 p.m. This free, family-friendly event is designed to bring our entire community together – from Afton all the way to Marine – and celebrate what it means to be a Stillwater Pony. Read more.